Ozark Cotton Lunge Line with Chain. These rugged blankets are water resistant with a lightweight, yet durable poly-cotton outer shell, and a coat polishing nylon lining. 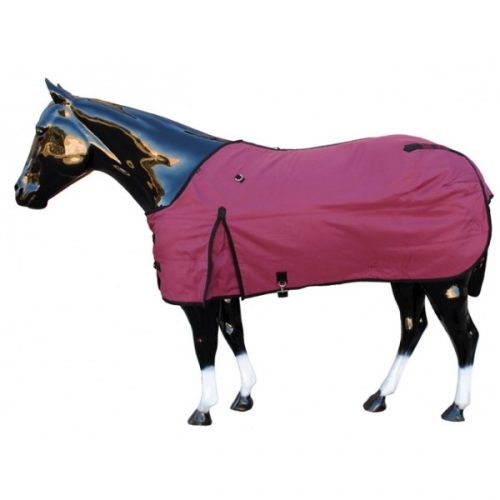 They have gusseted shoulders and a tail flap, making it a true turnout blanket. Our breathable abrasion resistant outer shells and liners offer warmth and durability while effectively dispersing body heat to avoid excessive sweating. Contoured open front with 2 strap closure and 1'' hidden rear leg straps. 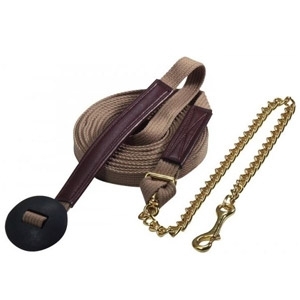 1/4'' Braided nylon diamond rope halter with 5/8'' lead rope. Washable, rot resistant with no hardware.